“Ladies Make Money Online” is all about helping ladies in today’s society make some extra money on the side. This entire blog focuses on the thing you can easily do to start earning income online. We want you as a lady to advance financially by side hustlin’ ! 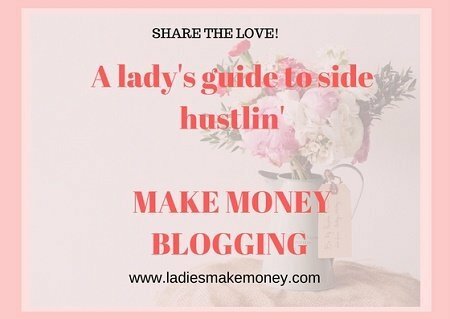 Are you a “Diva?” As Beyonce puts it “A Diva is a female version of a hustler!” We will give you all the great reasons why you need a side hustle and how to achieve it. My blog is my full-time hustle and I started this outlet as a way to help other female entrepreneurs achieve the success I believe they can. This is where I express everything I know about blogging, how to achieve success and how to properly monetize your business. What do we mean when we say side hustle? This is simply a way for you to make more money outside your full-time job, or even make it your full-time income. 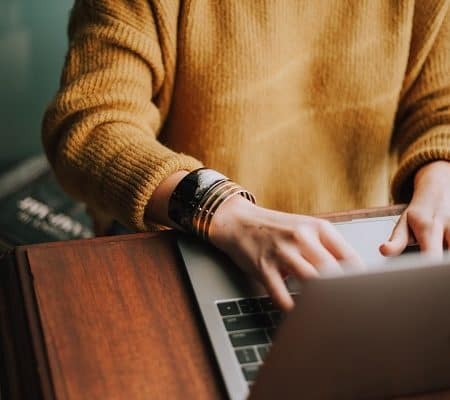 I, for example, decided to dedicate my energy to turning this blog into a full-time hustle and by the end of this year, I want to earn about $5000 per month blogging. As of right now, I am currently making around the 1K mark and I wrote an e-Book dedicated to helping you make your first $1000 by using different income streams. You can grab the book here: (Please use the code “ebook10” to grab it for as little as $10.00). They are so many reasons why we believe you need to pursue a side hustle. It could be a way for you to earn extra income which will help you pay down debt, stay out of debt or do things you have always loved such as traveling or enjoying the finer things in life. It’s a great way for you to use skills that you might not have known you could use to make money. For example starting a photography business, or starting a petting sitting firm. Here is a list of 10 ways you can make money using your skills- 10 Easy Way to Make money from Home doing odd jobs! 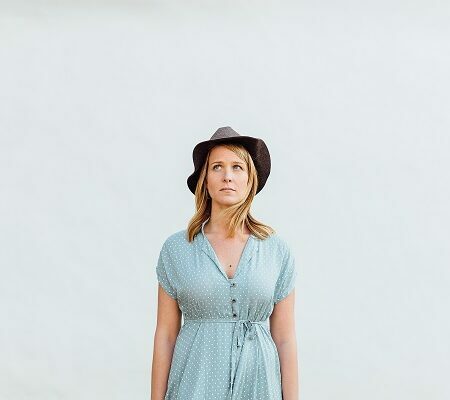 Not sure why you need a side hustle? In my case, it’s a way for me to do exactly what I want, do what I love, and still earn money from it. Depending on your business, you are able to be flexible, do the job from anywhere and just be in your own zone. It’s also a fantastic way to let out my creativity and teach others. They are a few things you can do to ensure your success. Pick a side hustle that you are truly passionate about, something that you know well or are willing to learn about and be true to yourself. Get educated for sure. This is our number one tip. 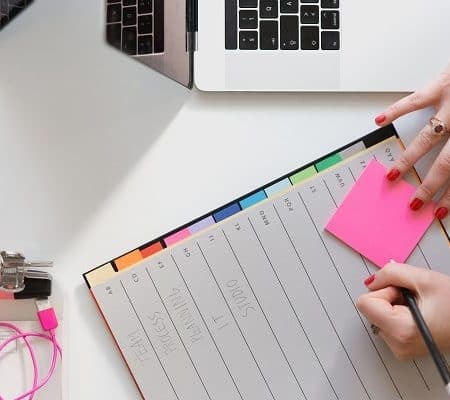 I started a wedding planning business and although I was passionate about it, really organized I decided to take multiple courses to help me further that career. And I was able to grow it to a $60,000 a year wedding business in less than 2 years. That’s why we created this simple to follow e-guide that will help bloggers trying to monetize their blog. Grab it for only $10.00. The code is “ebook10”! HOW CAN YOU START MAKING $1000 PER MONTH SIDE HUSTLING! 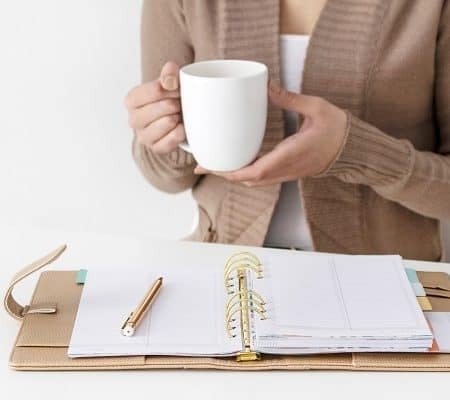 We have mentioned our e-guide that outlines the programs, tips, and step by step guide of what we are doing to make that extra income per month. It includes the following and a bit more. If you are passionate about working with brands, then this is something you should explore. You are able to sign up with brands that will pay you to blog, post on social media about their products. You do not want to work with just any type of brands. The e-Guide outlines a few major and reputable brands that you should work with in order to succeed. These brands pay anywhere from $80-$500 a post. Become an affiliate associate and recommend products that you love. This is the best way of making money online. But if it is not done right, you can put links all over your site and still make 0 dollars from it! We will guide you in the right direction so you can succeed. Affiliate marketing is the new black! So easy to earn money if you understand the concepts. If you want to know more about how to make that $1000 from your blog sooner than later, check out our e-book. It’s only available for a limited time at $10.00. This is great if you are able to start making $1000.00 from it. 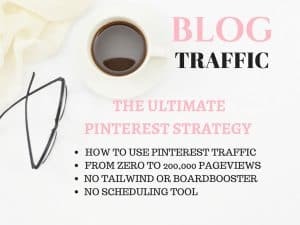 You will also get bonus tips on increasing traffic, promotional tactics and places that pay bloggers to write. What a great post! 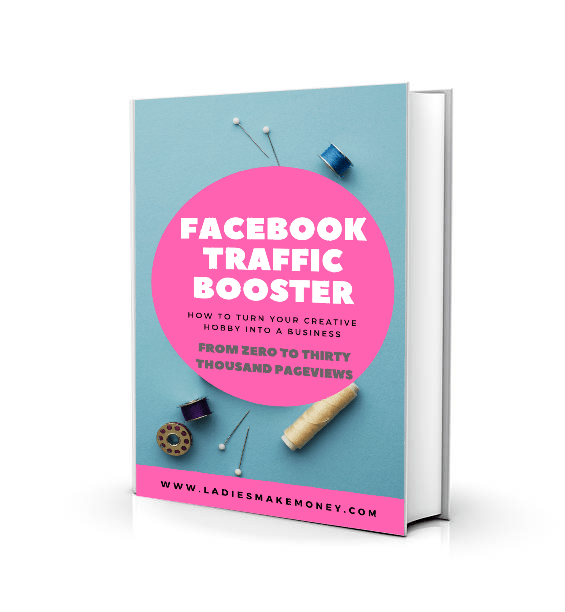 Thanks so much for sharing (and also introducing me to the Babes Making Money Online FB group–just joined!). I’m trying to increase my “side hustle” this year and have a goal in mind to reach a certain number of sponsored posts, so advice like this is always appreciated! Welcome, Charlotte! Thank you for joining the group! I will look into these tips. I think I’m ready to look into making money with my blog. Great tips! I feel like the internet has really allowed women to flourish in roles where they can be both mothers & entrepreneurs. It’s been so exciting to see! I totally agree! And it is so great to see! I like this post! Great tips to look into! Side hustles are so great. Thanks for the great tips! These are great tips! 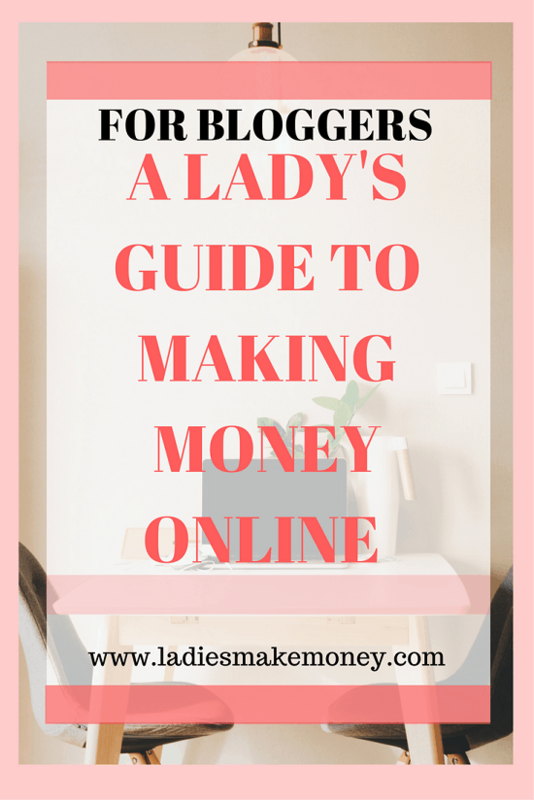 I have been thinking about trying to monetize my blog soon and this will be very helpful! I am glad! Can not wait to see your progress! Thank you for the info. I can’t wait to get started on my hustle!! I so wish I could quit my current job and just blog all the time but unfortunately college is expensive! Great tips! College is expensive for sure! I was there!